Entering today, Chris Davis hadn’t gotten a hit since last September. That’s an incredibly long time, and it was always going to end at some point. The only question was when, and today we got our answer: the first inning, against Rick Porcello. 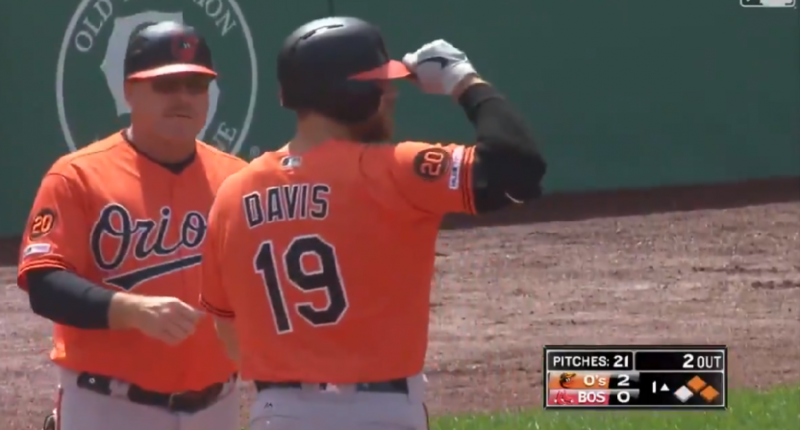 Chris Davis with an RBI double– giving him two hits and 3 RBIs on the day. If there’s any justice (or even just some regression to the mean), Davis will go on a tear here. In any case, the streak is over; records are almost always fun to watch, but this was the rare version that wasn’t.